1) black carbon inside conductive PP(100% polypropylene) monofilament, packing condition is bundle. 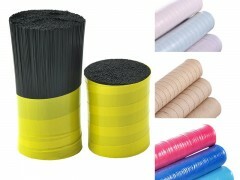 2) black carbon inside conductive nylon monofilament, packing condition is bundle. Used for making anti static brush in electronics industry.